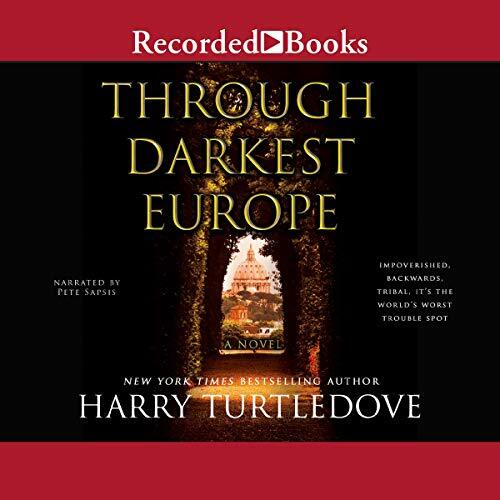 From the modern master of alternate history and New York Times best-selling author Harry Turtledove, Through Darkest Europe envisions a world dominated by a prosperous and democratic Middle East and under threat from the world's worst trouble spot. Senior investigator Khalid al-Zarzisi is a modern man, a product of the unsurpassed educational systems of North Africa and the Middle East. Liberal, tolerant, and, above all, rich, the countries and cultures of North Africa and the Middle East have dominated the globe for centuries, from the Far East to the young nations of the Sunset Lands. But one region has festered for decades: Europe, whose despots and monarchs can barely contain the simmering anger of their people. From Ireland to Scandinavia and Italy to Spain, European fundemantalists have carried out assassinations, hijackings, and bombings on their own soil and elsewhere. Extremist fundamentalist leaders have begun calling for a "crusade", an obscure term from the mists of European history. Now, Khalid has been sent to Rome, ground zero of backwater discontent. He and his partner Dawud have been tasked with figuring out how to protect the tinpot Grand Duke, the impoverished Pope, and the overall status quo, before European instability starts overflowing into the First World. Then the bombs start to go off. The world turned upside down. A fast interesting story with decent likable characters. If you like Turtledove you will like this. Take a globe, flip it over, shake all the technology philosophy and ideology out from the northern hemisphere to the southern and visa versa. Parts of it are a bit predictable, but it doesn't really matter, even though you can anticipate some of what is going to happen, you still want want to see how they do it. Not the strongest ending, but we don't know how the real world ends either.